The David Oyedepo Foundation scholarship program is our major platform for promoting our vision and goals. The scholarship program awards full ride scholarships to qualified individuals who are indigenes and residents of African countries. We offer scholarships at primary, secondary and Tertiary Level of Education. However currently, only the Tertiary and Secondary school scholarships are open for application. The DOF scholars program grants individuals the opportunity to acquire a first Degree at Covenant University or Landmark University in Nigeria. It grants individuals the opportunity to build up the leadership potentials that are so evidently lacking in the leaders of our today’s society, through the yearly programs and community development initiatives. The scholarship is a need based scholarship, awarded to candidates who have displayed exceptional academic performance at the secondary school level. One economy round trip ticket (for international students, subject to discretion of the foundation). This category of scholarships was established to promote agriculture among the Nigerian youth. Hence candidates that apply to the Farmers Scholars program should be interested in pursuing a degree in any of the specified Agriculture related fields in Landmark University. All awards are also given and maintained on the basis of merit which is measured by a benchmark CGPA of 4.5. 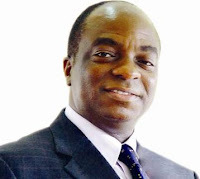 Each Scholarship Awardee becomes a David Oyedepo Foundation Scholar (DOF Scholar) and is expected to meet up with the requirements each year for maintaining the scholarship program. DOF Scholars are the recipients for the David Oyedepo Foundation Scholarship for university scholarships. Candidates must not withdraw or take leave of absence during school year without due notification of the Foundation. Candidates must be full participatory members of church service units in school. Candidates must carry out a yearly 6 week summer volunteer service in approved establishment. A video and document report of the project must be generated and submitted to the Foundation at the end of every summer holiday marking the end of the school year. The Award covers only tuition through stipulated duration of study in the university to a maximum of 8 years of study as long as the student maintains the D.O.F Standard of Excellence each academic year. Scholarship is not awarded to individuals above 25 years of age. Scholarship will be publicised through the D.O.F. website, local newspapers, radio stations and open letters of invitations to schools. Awards are paid directly from the foundation to the applicant’s school of choice. Successful students will be notified at the end of selection process through emails provided by each applicant. Scholarships are reviewed for renewal each academic year. Preferences will be given to candidates whose choose the following disciplines: Medicine, Nursing, Pharmacy, Physiotherapy, Paramedical Sciences, Agriculture and Education. The application forms are to be filled and submitted online. Societal change on their area of study not more than 750 words. Maintenance of Scholarship All applicant are awarded full scholarship for the duration of their study, however a yearly review of scholarship is carried out every year to ensure candidate remains worthy of scholarship award. Candidates must maintain an overall academic average of 80% at the end of each school year. II.) DOF Leadership Scholars The second part of the DOF Scholars program is for individuals who have completed studies at university and intend to pursue post graduate degrees, they are called the DOF leadership scholars. Compulsorily participate in the DOF leadership programs designed for the scholars throughout the course of the year. Carry out community development projects throughout the course of the year in their respective location. Be offered provisional admission for a post graduate degree in approved Nigerian universities. At the end of the year, the approved candidates are awarded DOF leaders status and awarded full scholarship for post graduate study. Graduates that are interested in pursuing a career in farming are offered scholarship to post graduate degrees after a one year work training program on designated farms. At the end of the one year work training program, the candidates are sponsored to pursue post graduate degree in a relevant course and have the opportunity to be sent to farms in different parts of the world for a work training experience. At the end of the post graduate degree, the individuals are given the opportunity to work on a large scale farm to implement the knowledge learnt in the course of training. At the end of a 3 year period, the foundation grants the young farmer financial support in starting up their own farming practice. Financial Provisions of the Scholarship Full Academic fees for a maximum of 5 years. (In accordance to the University stipulated time for duration of chosen course). The application for the scholarship does not guarantee admission to the specified Universities; all admission to the University is to be secured independently by going through the University’s admission process. Hence, award of the scholarship is conditional on University admission. The David Oyedepo Foundation uses an internet based application system. You will need to access a computer and internet to apply. You would also need a scanner in order to upload required documents. You do not have to finish your application in one session. You may save your work and return to complete your application as many times as necessary. You must, however, not leave your application untouched for up to 30 days or your account would be deleted. You must submit your completed application by the deadline, however you are encouraged to submit before the deadline as no deadline extensions would be provided. Answer all questions on the application in English and all documents to be uploaded MUST be translated in English. All answers in the application, including written responses to essays must be your own original work. Only applicants who complete this application will be considered. Applications and information submitted through email or other means will NOT be considered. The contact information you provide will be used to reach you during the application and selection process. Please provide accurate addresses, phone numbers, and email addresses that you use and check on a regular basis. Insert Primary School Name, Certificate obtained e.g. (primary school leaving certificate etc. ), duration (mm/yy – mm/yy format), and the year of graduation. Indicate nil if you did not complete education at the school indicated. Insert Secondary/High School Name, Certificate obtained e.g. (junior/senior school leaving certificate, High school diploma etc. ), Duration (mm/yy – mm/yy format), and the year of graduation. Indicate nil if you did not complete your education at the school indicated. Add New for multiple schools attended at secondary level until graduation. Insert Post-Secondary Institution Name (e.g. A’level, Technical college, University), Certificate obtained e.g. (A levels, BSc, Diploma etc. ), Duration (mm/yy – mm/yy format), and the year of graduation. Indicate nil if you did not complete your education at the school indicated. Insert proposed University of Study and proposed course of study. Remember that the David Oyedepo Foundation Scholarship Program is specific at this time to only Covenant and Landmark University. It is also course specific, hence you would have the option of only choosing from the available options. For the exam results section, the name of the Nationally Recognized O’level exams should be inserted including the date the exam was taken. (This exam varies for different countries). This section includes 2 essay questions that must be completed. Each essay has a word limit of 500 words and must under no circumstances be exceeded. Your responses would give an opportunity to the selection committee to better understand you as a leader, including your desire to participate in the program. English language proficiency is required for participation in the Scholarship program. All activities and communication would be done in English without the opportunity for translation. Please fill in the portion of the application evaluating your language skills as accurately as possible. This is a very good initiative that will help the less privilege who wouldn't have been able to go through such a school program,but with this provision an opportunity is thereby made available to such students,many thanks sir.